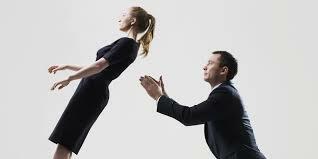 The trust fall is a classic “trust building exercise”. Real trust is built in a 1,000 interactions. When I read Stephen M.R. Covey’s The Speed of Trust several years ago, I experienced one of those delicious moments when you read something you have experienced but never seen articulated. The basic premise is that when trust is present it is possible to save time and money in business; and the lack of trust results in increased costs and lost opportunity. I have shared it with several teams I work with and we all agreed that one area where the Covey book falls down is in practical advice on how to build trust. There is a long list of behaviors that build trust, but it is difficult to remember 24 or more ideas. Then I discovered Charles Feltman’s The Thin Book of Trust. It is all about practical advice for building and maintaining trust in the workplace. Sincerity – I mean what I say, say what I mean, and act accordingly. Reliability – You can count on me to deliver what I promise! Competence – I know I can do this. I don’t know if I can do that. Care – We are in this together. There is an excellent chapter on making more effective requests and responding effectively to requests. My favorite chapter is 7. Confronting Distrust. Feltman gives you good advice on how to prepare for a more effective conversation when someone has damaged trust and restore the relationship. The Thin Book of Trust, at less than 70 pages, makes a great homework assignment for a team. There are discussion questions. As to the behaviors that destroy trust, I rely on a book on marriage. It may seem unlikely to have any transferable application. John Gottman’s book The Seven Principles for Making Marriage Work details the “Four Horseman” that destroy respect and trust: criticism, contempt, defensiveness and stonewalling. These three books make up the 3 pillars of trust literature.